Riviera Maya Film Festival is in its fourth year bringing glamour to this tropical paradise. Today starts the Isla Mujeres leg of the Festival, from the 28th – 30th it will bring National and International films along with glamorous movie stars promoting their films. This year Riviera Maya Film Festival held several galas in Playa del Carmen attracting big Hollywood celebrities such as Aaron Paul and Ashley Green. The Riviera Maya is no strange to celebrities. They love to vacation in 5 star resorts and own luxury vacation properties up and down the coast. The beautiful weather, gorgeous beaches and luxury real estate properties beckon them to this area. Isla Mujeres (the Island of Women) is a small fishing village but through its charm, beauty and tranquil atmosphere it is now an off the beaten path tourist destination. This little island is located just eight miles from Cancun, across from the Bahia de Mujeres (Bay of Women). Isla Mujeres is only 5 miles long and half a mile wide at its widest point. The downtown area is just four by six blocks filled with quaint shops and restaurants. Isla Mujeres is where time slows down and your dreams become a reality. Take a look at these luxury real estate properties in Isla Mujeres where you too can live like a movie star… or just daydream about living the life. La Amada has the best of both worlds, this property features a V shape allowing half the property to be oceanfront and the other half to be marina front. This luxury three bedroom, three bathroom penthouse features a spacious balcony with breathtaking views of the marina and a relaxing Jacuzzi. The penthouse has a modern design with a lot of large windows filling the area with natural light. The expansive master bedroom features a Jacuzzi right in the bedroom, an en-suite and a large walk-in closet. The grounds beautifully manicured grounds showcase the lush tropical vegetation know for the area. The common area has two gorgeous swimming pools with daybeds and palapas. There is also a bar and grill, a gym, kids play area and event area. This very secure and private community has 24 hour security. Live the dream on one of the most beautiful beaches in the world! Here is another property in the same development featuring all of the wonderful amenities that the penthouse offers. This three bedroom, three bathroom condo is located on the ground floor. It features a view of the marina and a lower price tag. 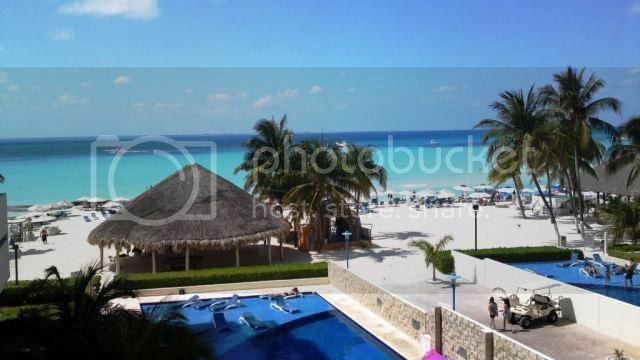 This beachfront penthouse has two bedrooms, two bathrooms and amazing view of the Caribbean Sea. 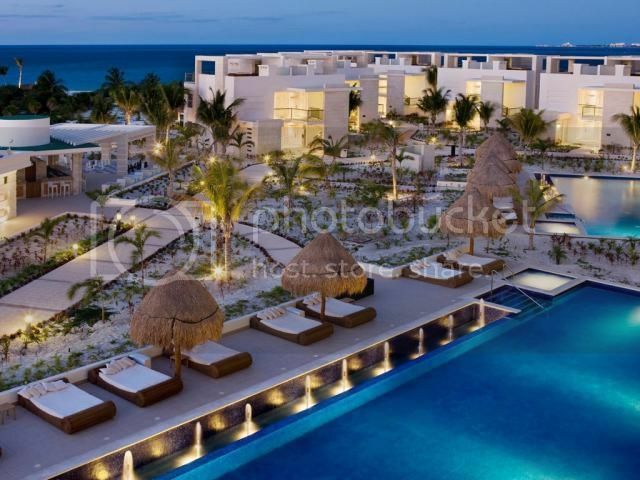 This modern development has two swimming pools and a large beachfront area with palapa and plenty of lounge chairs perfect for relaxing the day away. Additional there are several condos available in this development with prices ranging from $422,000 to $522,000. Let this penthouse be your get away place where you can in bask the luxury, take in the tranquility of the island and unwind. Enjoy the beauty of small island life! Now if you have any questions about any of the Top Mexico Real Estate properties we have listed in Isla Mujeres, please feel free to contact any of our Top Buyers’ Representatives and we will be glad to help you find your very own piece of island paradise.